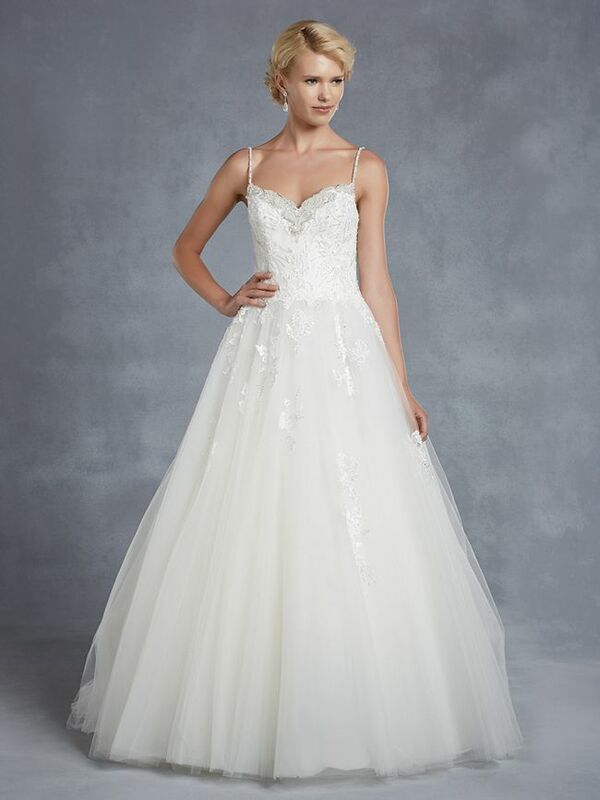 The new Blue collection by Enzoani is all about innovative and modern designs, offering an extensive choice of fabrics, shapes and silhouettes to captivate and inspire the modern bride. 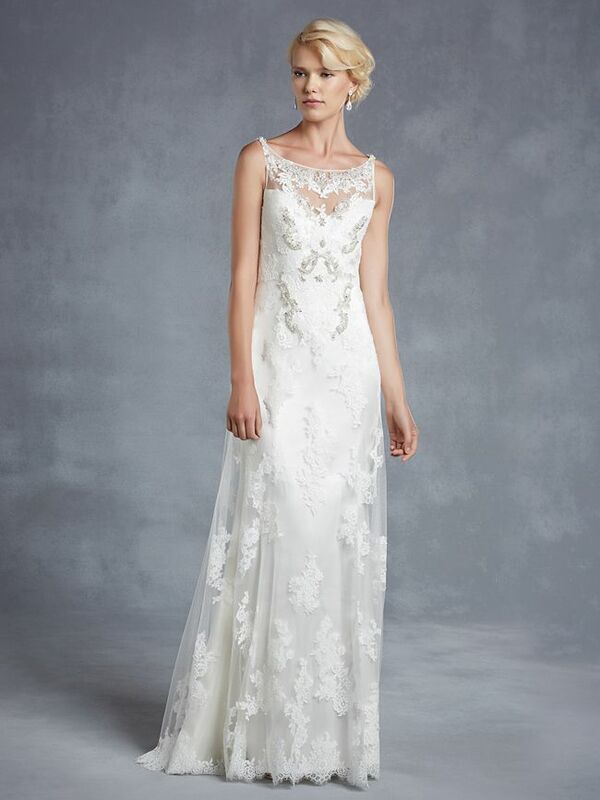 Enzoani’s choice of intricate details and the clever play on light and shadow in the new collection has a cinematic effect which is widely appealing and bang on trend for the new year. 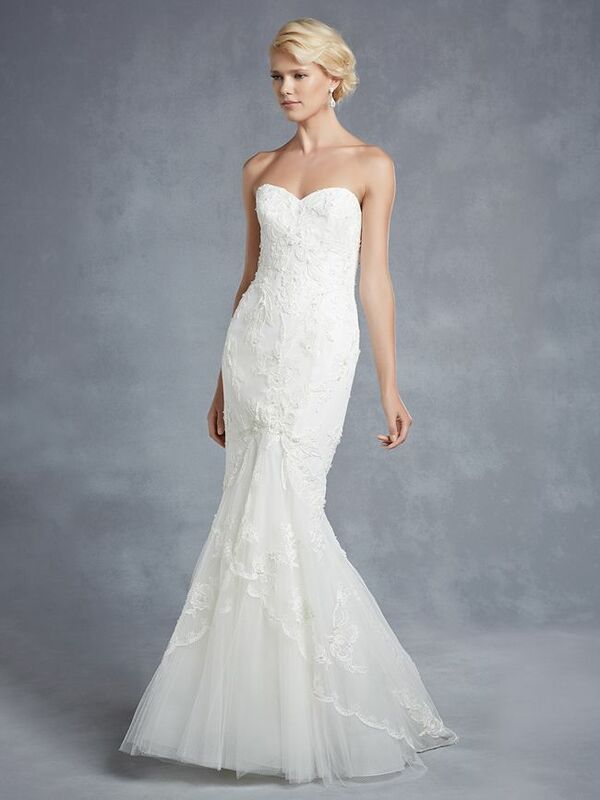 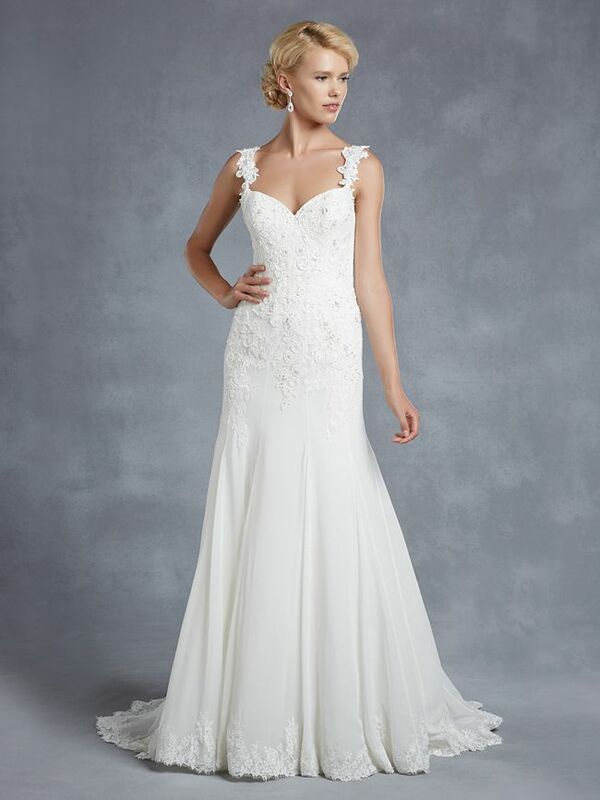 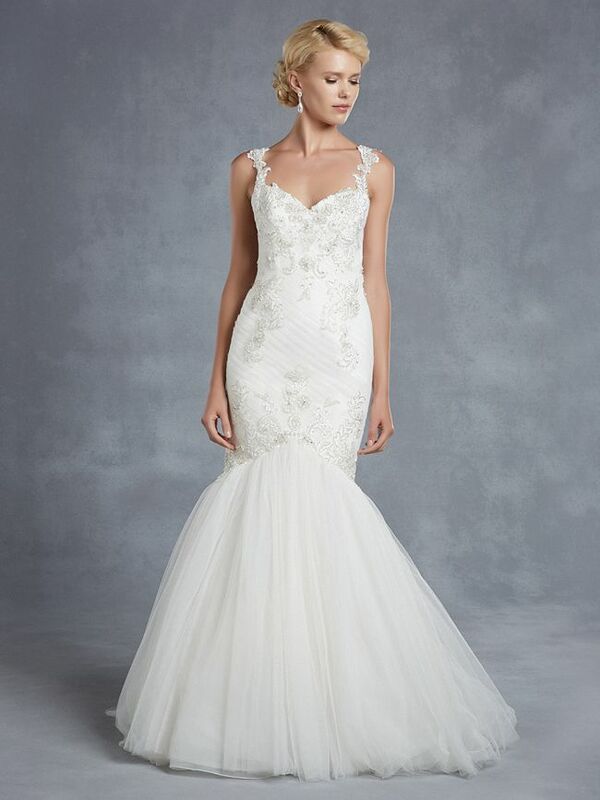 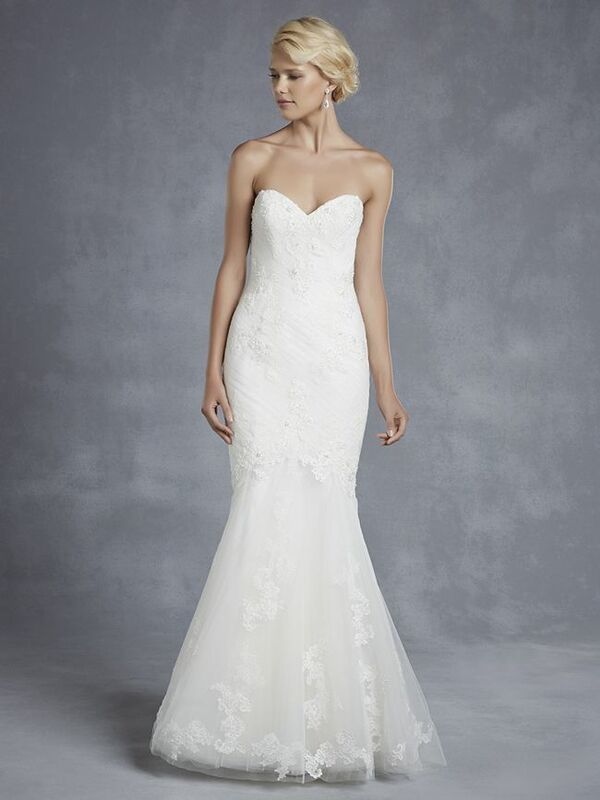 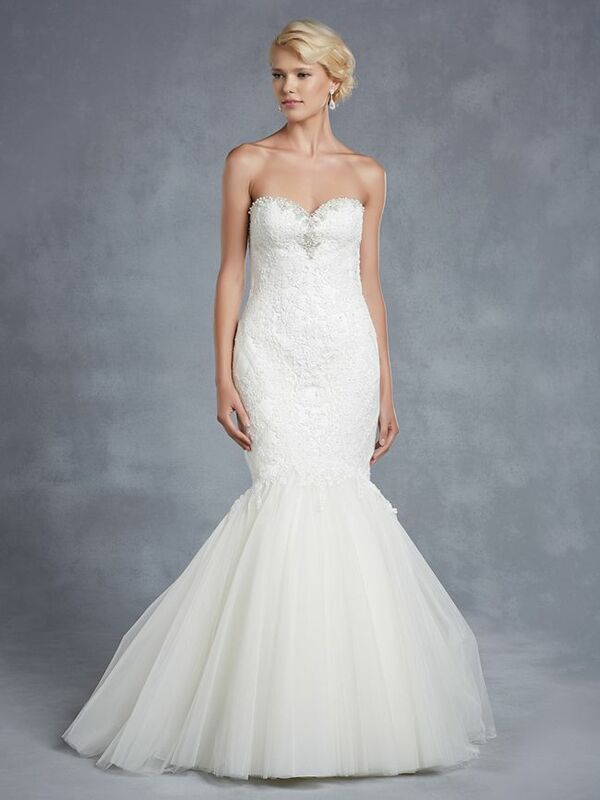 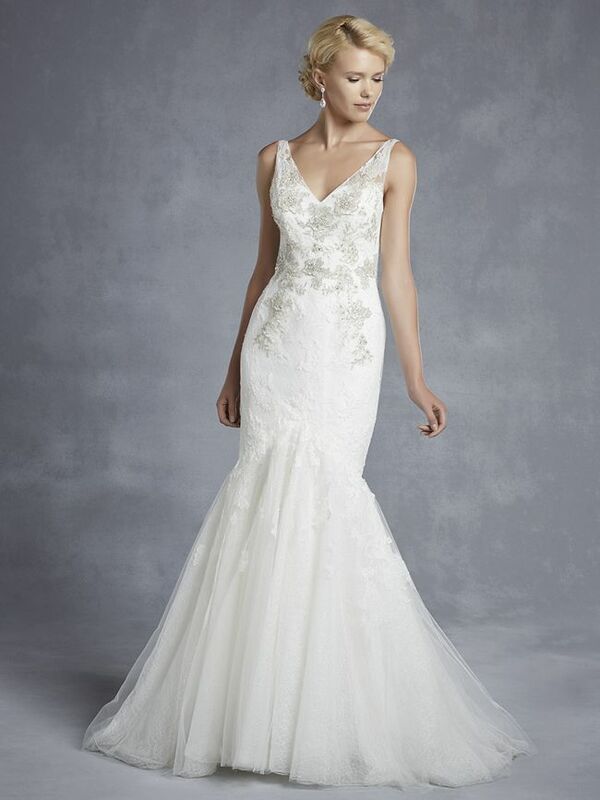 This Hadley dress has a simple sweetheart neckline, but with the embellished lace bodice with the decorative mermaid tail, it is a real jaw-dropper, and perfect for those looking for something a little different. 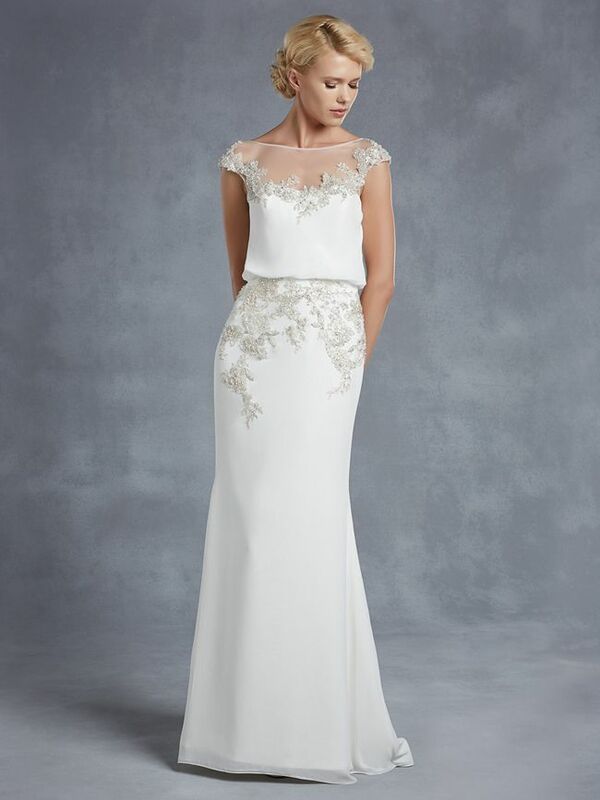 The stunning A-line Halifax gown makes the most of the new year’s trend of embellished capped sleeves. 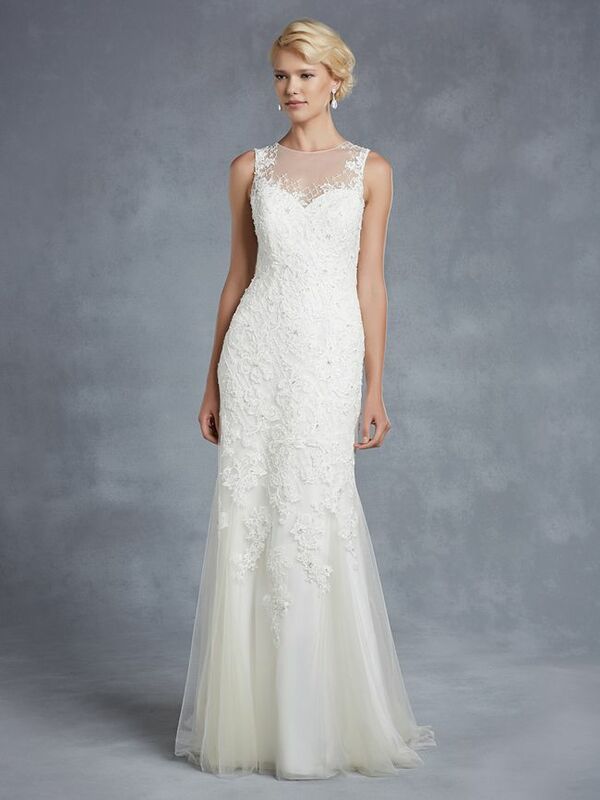 This creates a neckline that is flattering for all shapes, and there’s no need to spend money on a necklace – a trendy up-do for your hair and a simple pair of statement earrings would make for a super sophisticated bridal look. 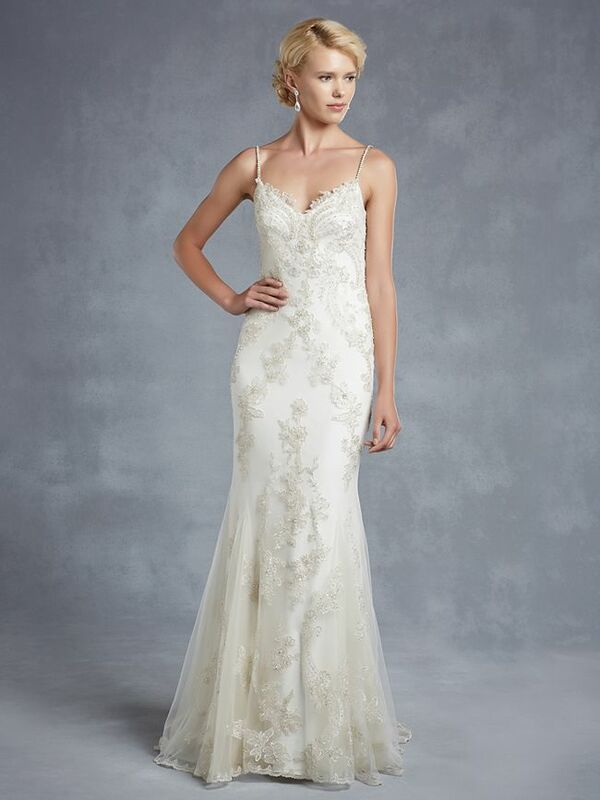 This Honeyford dress has the same sophistication, and the silk fabric with the gathered waist oozes sexiness too. 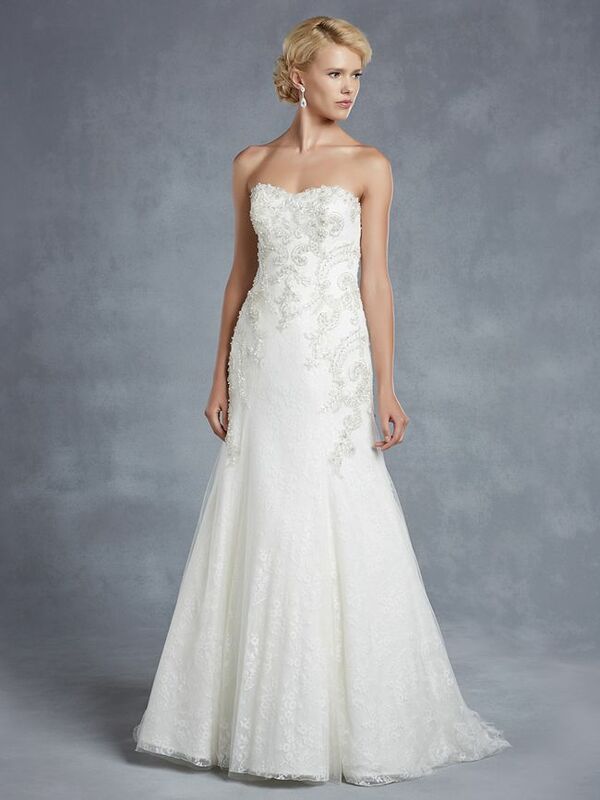 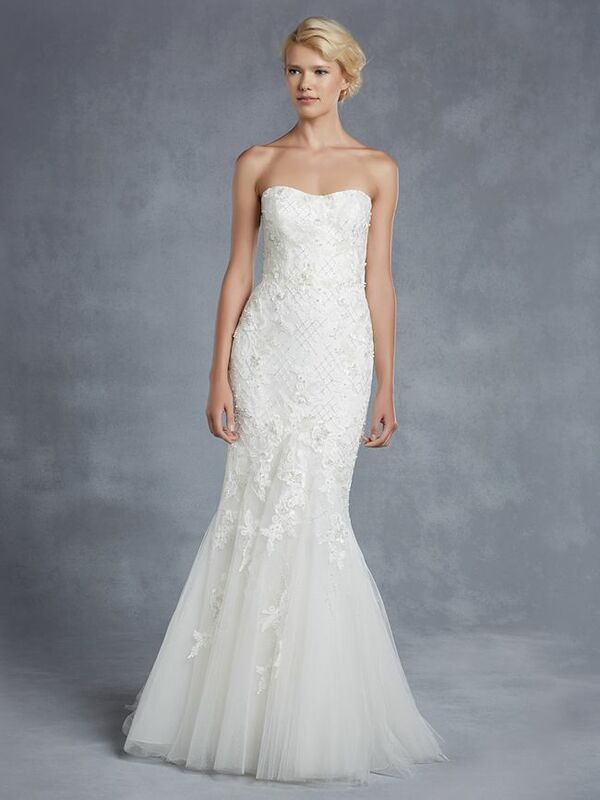 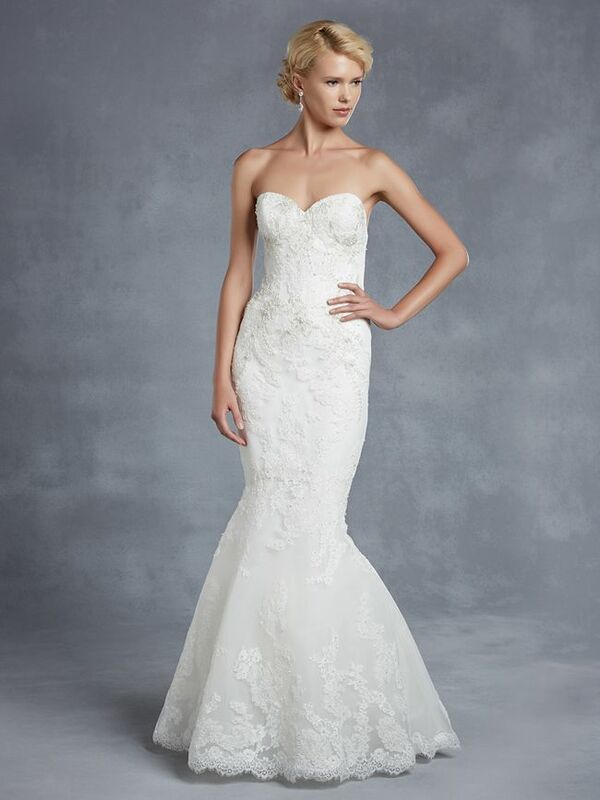 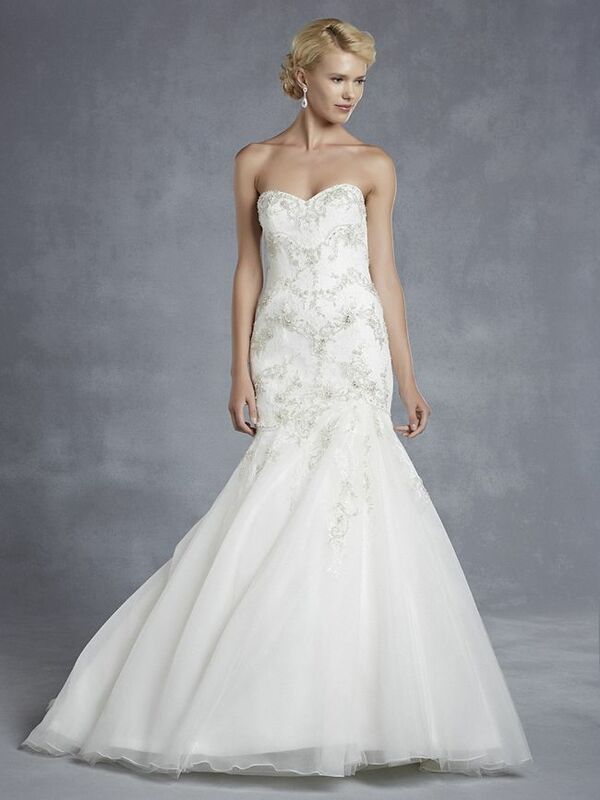 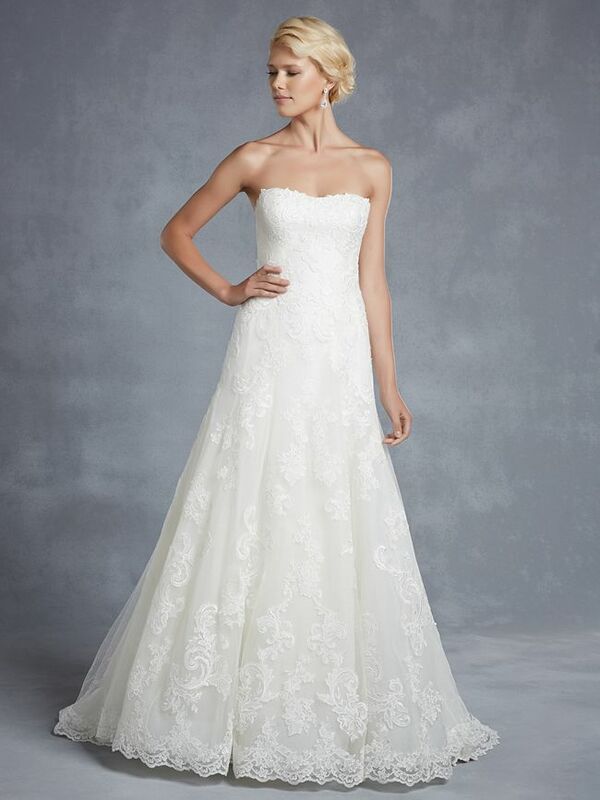 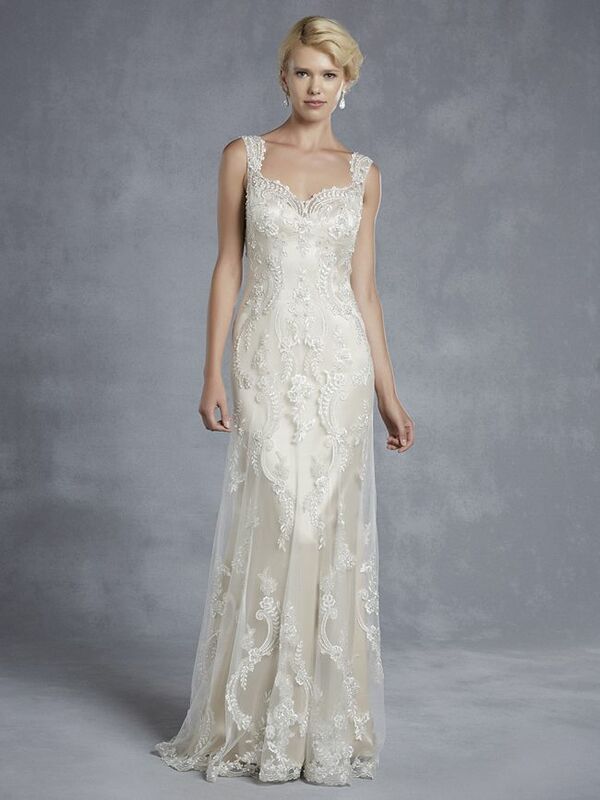 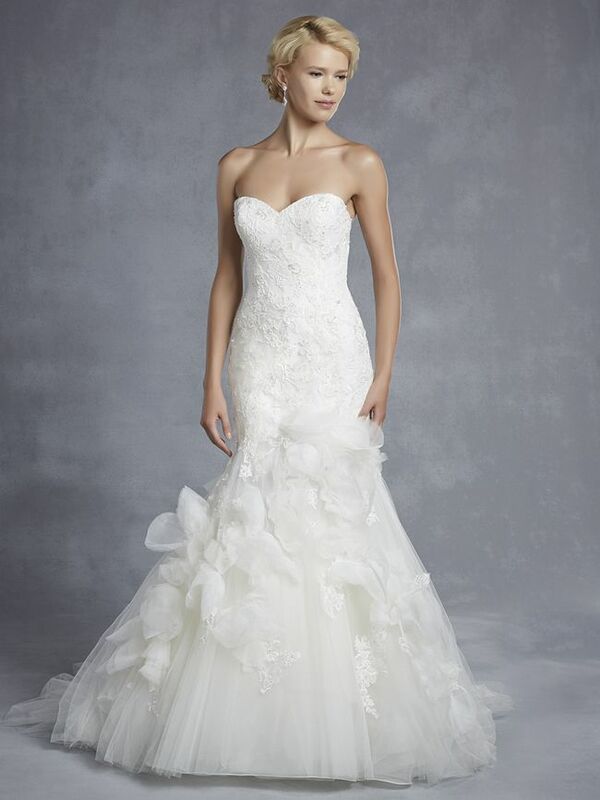 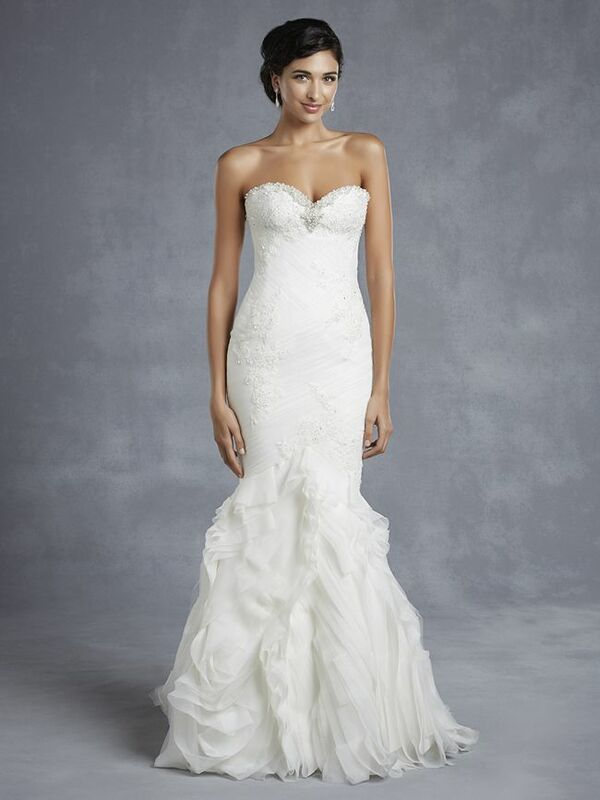 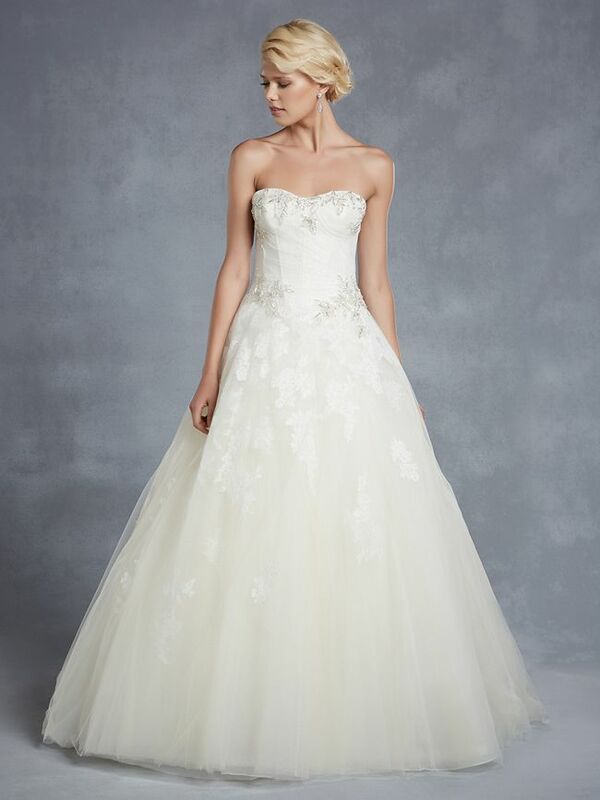 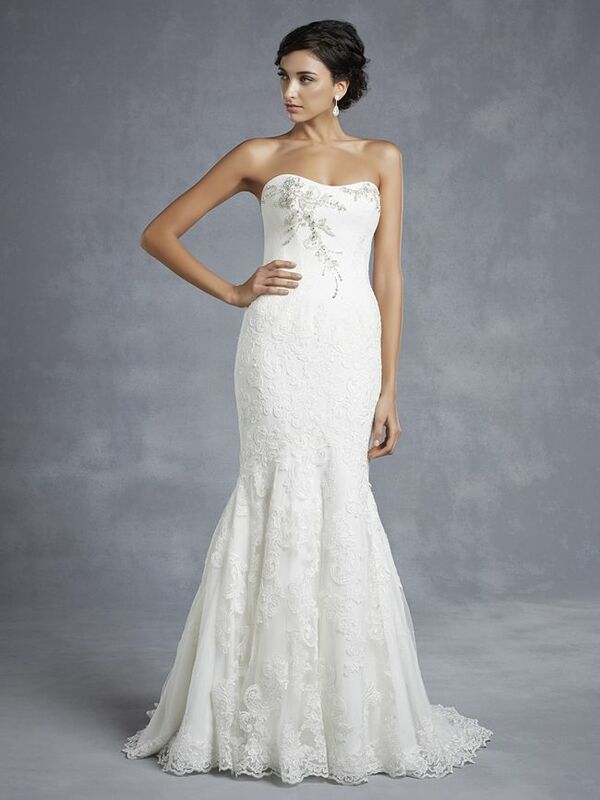 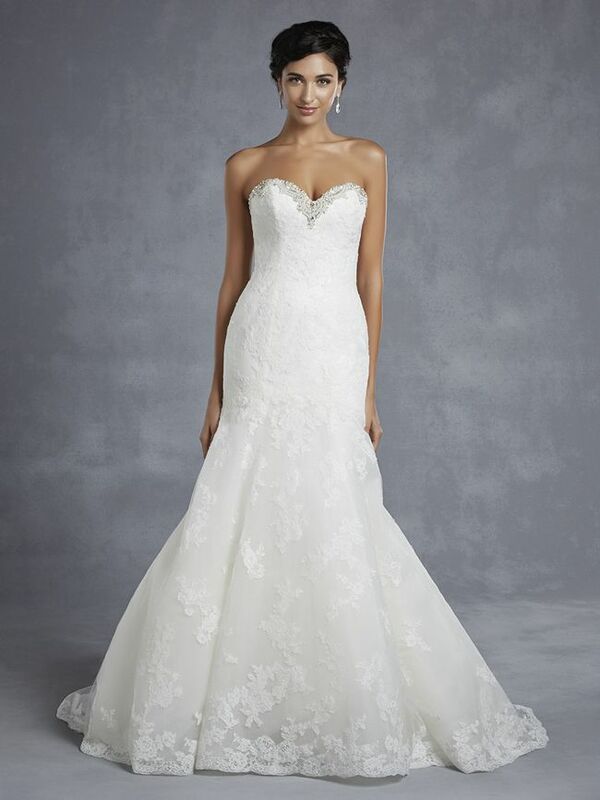 The thin, delicate straps follow through to an exquisitely beaded neckline giving the gown an extra wow. 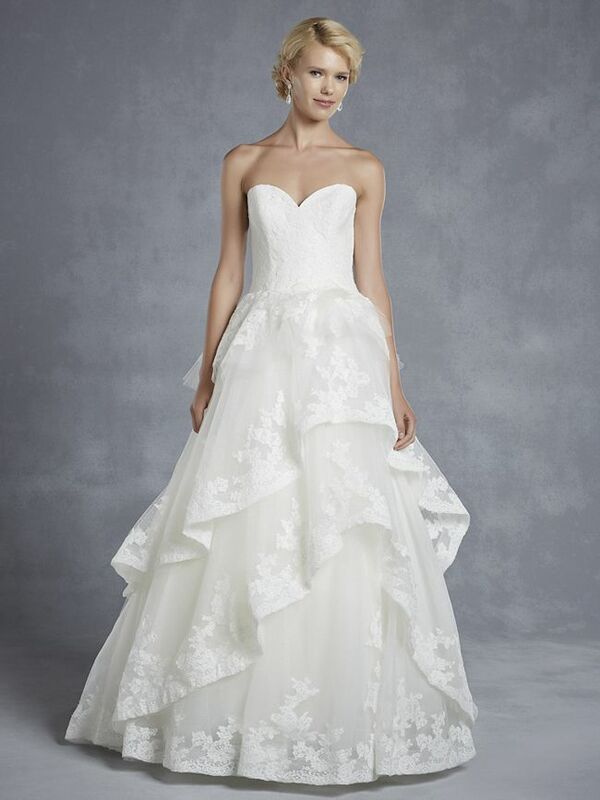 The clever play on shadows with the gathered waist guarantees to flatter any figure as it accentuates and slims the waist. 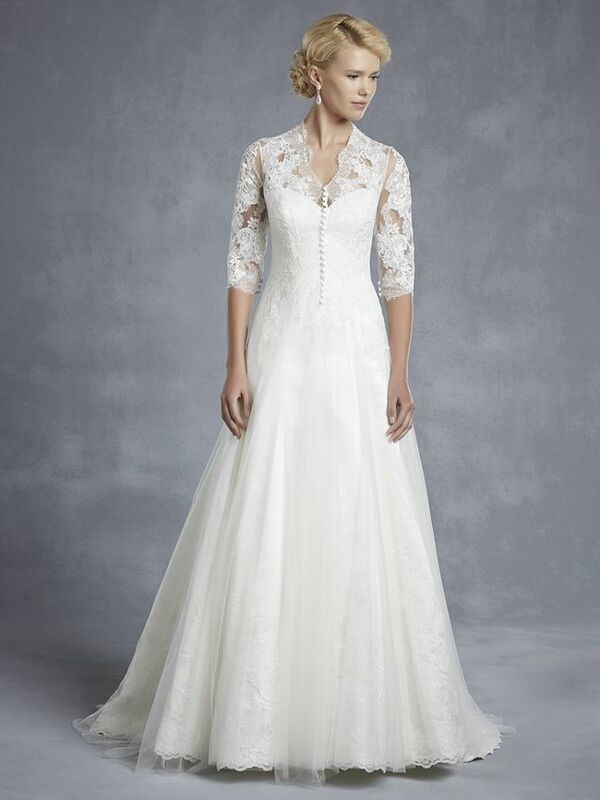 ,If you’re looking for either a gown that has a more subtle sexiness, or maybe something for a vintage or 1920s look, the Harlem dress could be the one for you. 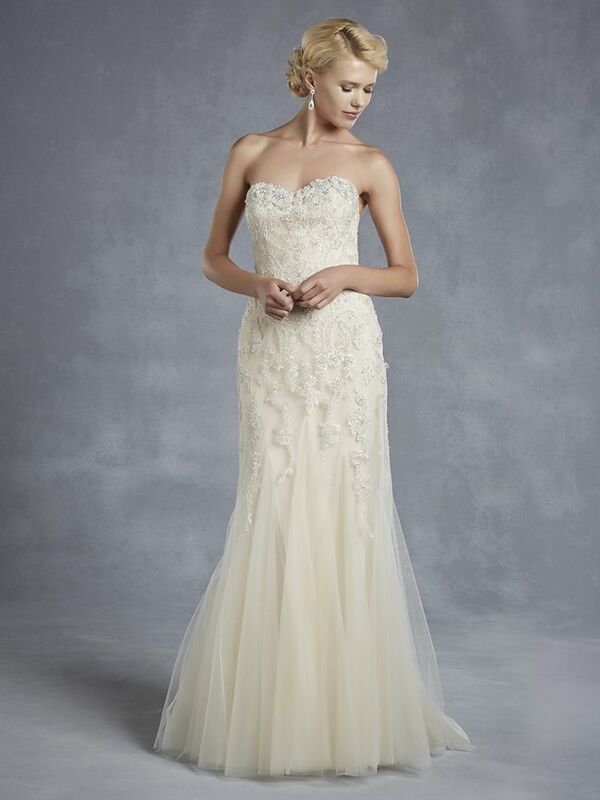 The mesh detail is fabulously decorated with the perfect amount of glitz, matching the midriff detailing, too. 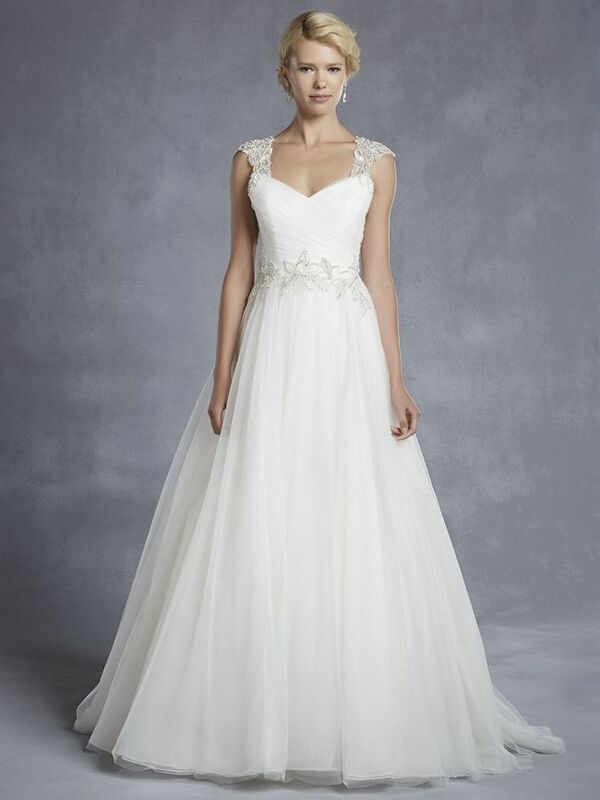 Drawing attention to the waist and the decolletage, this dress will suit all brides of any figure, particularly the pear-shaped brides out there. 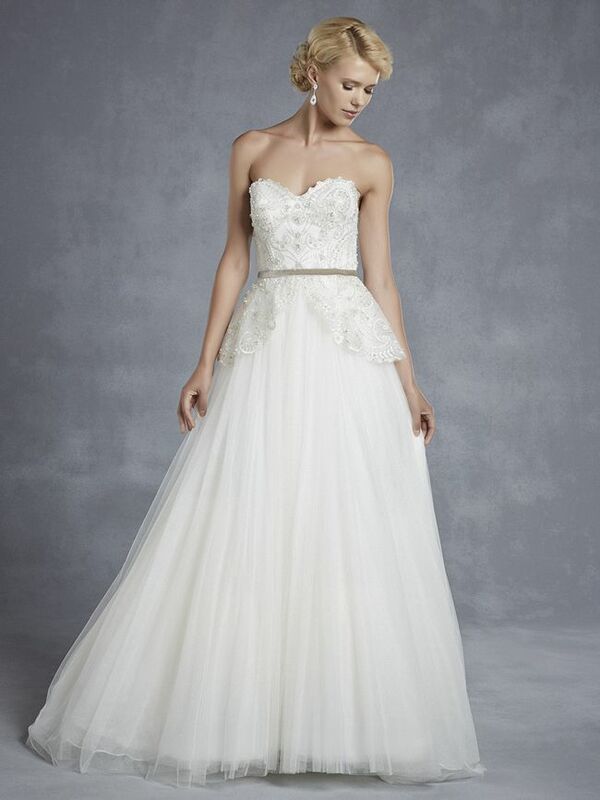 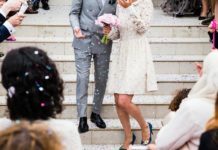 The modern style is a cool look to go for, and we’ve got more ideas for the modern bride here. 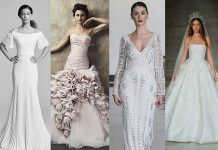 The chic style is perfect for city weddings, but with the wide range of this collection, and others, it could suit any theme.